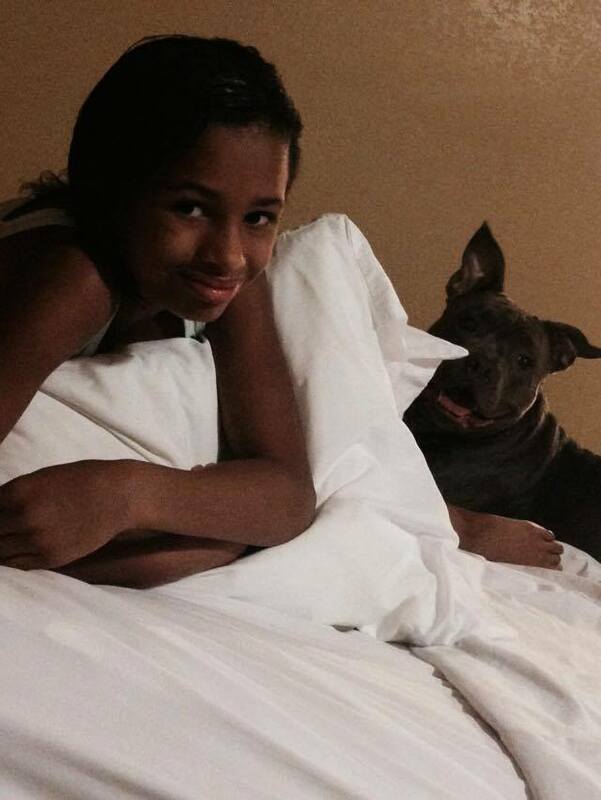 More than 213,000 people have signed a petition to save a young girl’s “therapy dog.” The dog, named Edith, happens to be a pit bull, living in Jacksonville, Arkansas, where the breed also happens to be banned. Single mother Amanda Simmons didn’t realize the community had breed specific legislation to outlaw her daughter’s dog when they moved there from Minnesota a year ago. Officials sanctioned the family then seized the dog last year. The Simmons family is fighting to get Edith back for 11-year-old Ahmeah, who has Asperger’s syndrome. The girl, who has the support of doctors for Edith to act as a therapy dog, is now suffering depression without her companion. Edith has been with the family since she was a puppy and without problems, the family says. Simmons posted this to her Facebook page after a judge delayed a ruling in the case earlier this week. Jacksonville city attorney Robert Bamburg didn’t comment outside court, but referred the judge to a 1991 Supreme Court case, which upheld breed specific legislation after a resident also tried to declare it unconstitutional, according to THV11. The case will be back in court Feb. 17. 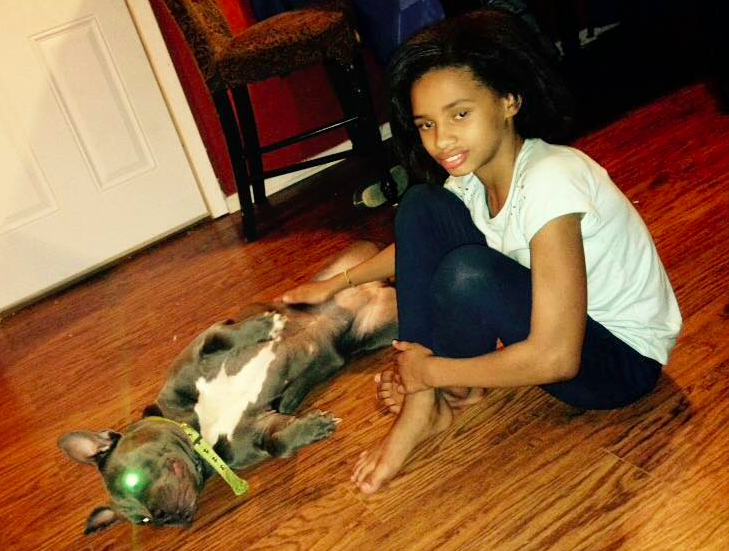 “City officials in Jacksonville, Arkansas took my daughter’s therapy/service dog, a pit bull named Edith, because of the city’s breed-specific legislation (BSL). Please sign this petition to demand the city return Edith to my daughter and repeal its draconian BSL! I am a single mother of 3, and I simply can’t afford to pack up my family and move us to a town where pit bulls are allowed. When my family moved to Jacksonville last year, I had no idea the town had BSL. A neighbor reported that we had a pit bull, and despite the fact that Edith is my daughter’s therapy/service dog, city officials stormed my house without a warrant, seized her, and took her to the shelter. It wasn’t long before Edith, who was being housed on a cold, concrete floor without her human, became violently ill, vomiting and excreting yellow diarrhea. The shelter returned her to us. Just 8 months later, Animal Control took Edith again, from the backyard of a friend’s vacant rent house where the dog was staying while pest control was treating the inside and outside of my home. Since then, I’ve been trapped in a legal battle to get her back. We haven’t have seen Edith since she disappeared from the shelter 3 months ago. On November 3rd, the rescue organization that was supposed to foster Edith until our trial called and tried to change ownership on Edith’s microchip. Edith is well-behaved and has never hurt anyone. She walks perfectly off a leash, and my daughter has the best time dressing her up – they’re like sisters! I have all of the paperwork that certifies Edith is permitted to come with us to the airport, school or the doctor’s, yet she can’t live in our town because of BSL. It’s a total infringement on our individual rights. Editor’s note: Considerable discussion has been generated around this story. Please be kind. This item is about the well-being of a little girl and her beloved dog. We trust the courts will settle the case based on all available evidence. 40 Comments on "Child’s pit bull therapy dog seized in breed ban dispute in Arkansas"
I initially got involved with this case to assist the family, but after fact checking and research I am unable to support this family. Let me first say I am a huge pit bull advocate, support the ending of bsl nation wide and I rescue bully breeds. I do not agree with any city to ban a dog based on looks/breed. After speaking with parties on both sides I have found out the following and have confirmed by one form or another of evidence. The family/Mother per her own statements on Facebook page was aware of ban prior to moving in as her landlord ok’d the dog before moving in even though ban on breed. To qualify under the ADA the dog must be a service dog and have training specific to disability. Edith is a sweet dog but does not have training. The ADA does not recognize online company certificates and this is what owner has presented. The dog is considered an emotional support and therapy dog both do not qualify under guidelines. You can visit http://www.ada.gov to read full guidelines. The family was given over 10 months to move or get Edith spayed and properly certified and they did not. When city removed Edith for 2nd and final time she had been left in the backyard of a vacant house. Owner claimed it was due to pest control, but who leaves a dog let alone a service dog outside in the heat of a vacant home. Service dogs can go anywhere the person with disability can go. The family and legal team keep referring to fair housing violation but there was none as landlord approved Edith. The owner has repeatedly attacked and encouraged the mass public to attack the rescue and rescue rep. The rescue simply stepped in to provide edith a foster home / get out of shelter asap it’s an ongoing case. The rescue did change microchip not because they are stealing the dog but because that’s standard protocol for intake of any dog. The owner refused to cooperate with rescue, has repeatedly posted harassing statements and encouraged others to email and messages rescue and their rep causing a no contact order issued by judge. The attorney representing the family also owns rescue. They failed to step up and pull Edith from shelter for family. The owner has promoted harassment of anyone that questions statements made on saving edith Facebook page. The owner stated things on page in past week that are untrue to further her cause and requests for money. The judge didn’t return Edith simply because the family still has not done what was requested of them such as move from Jacksonville. The owner has also told the public that edith was adopted out and this is not true. The owner has also stated that Edith was in jeopardy of being euthanized and this too is untrue. The shelter actively seeks to place bully breeds in rescues outside of city limits and are even working on a shelter specifically for band breeds. It is not a clear cut case of service animal being wrongfully removed. There seems to be a lot of negative comments posted so far. Too bad they are not involved with this situation at all and never have been. Anything for recognition you say? Seems you are too. This is a family that had a family member taken from their home. Edith was never a danger to anyone in the community. There is no research proving the BSL works to make any community safer. If this is the reason the dog was taken, they did not remember the ADA which states that reasonable accommodations be made. The “community” did not provide it. This family is not wealthy so, of course, it’s their fault. So, apparently, too many assume they know Autism and Service Dogs together. The dogs provide a safety net around the child on the spectrum. The dog provides a way for more independent ability that neurotypicals think nothing about. There is nothing in the ADA that says a dog cannot be used only at home. Service dogs do not need to be altered either. This is about a child on the autism spectrum that had a connection to her dog, which is more than you can understand since you are not in that kind of position. This dog should have been able to stay with the child during this whole fiasco, but too many in control do not think about the work that this dog did for this particular child. Know the actual laws before you speak people. Shame on both of you for trolling an article because you happen to be connected to the Rescue. Amen Jennifer! This is not b/c anyone wants to see anything bad or negative happen to the child….this was simple 2 extremely bad decisions made by the mother in this case. No one said to poison the dog or anything of that nature, all she was asked to do was to follow the directives she was given by the city. If they were evil they would not have returned the dog the first time to the owner. She wasn’t returned to the owner b/c she was sick (as the owner has led many to believe) she was given back so that she had the chance to keep her dog. Any other citizen would have been given the same chance with the same stipulations. Thankfully I know how to look up public information and am able to form my own opinion based on facts of the case. Not by what someone on a facebook page tells me to believe. And I have seen that far too much in this case. Jennifer is correct in saying that the Facebook page wont allow anyone who is respectful with their difference of opinion. If you dont agree with everything the page wants you to believe your comments are removed and you are banned. Normally someone who has nothing to hide wouldn’t mind respectful objective conversation. But this isn’t the case when it comes to the owner. Which in and of itself is questionable. Secondly Kim, You have no idea if the people commenting here are connected to the rescue. Unless of course if you have been led to believe that from the facebook page where they have made assumptions about that without even knowing themselves. But again, no one seems to want to tell the truth except for the people that have been silenced by the “facebook” page. Again I will state that there is a difference between being respectful and disrespectful, and most of the people who have actually been factual have also been respectful with their words. Have you given it any thought as to why the owners story has changed about as much as the wind blows? Have you even noticed that aspect? Anyone who is being truthful would not have different stories just about each time they make a “fact” post to present to the public. That’s for the clarity Jennifer!! Sadly the mother seems to want to get attention more than she cares about getting her dog back. The ‘owner’ had the dog confiscated TWICE. Not once like she acts like. The first time she was begged by AC to remove Edith from the town because at that time, the city euthanized any pit bull who came in. The SHELTER that Edith’s ‘owner’ likes to talk crap about begged for years for them to change their policy and the city finally agreed. The owner snubbed her nose at the shelter & the town’s policy. The owner’s irresponsibility has ended the lives of numerous bully dogs in central AR just because Edith’s ‘owner’ decided she was above the law. The city might also change it’s mind on allowing bullies to leave the shelter because of the to-do this has caused. Edith’s ‘owner’ doesn’t seem to care about those dogs even tho she says she is against BSL. Shame on Edith’s ‘owner’ and anyone who doesn’t bother to research the story properly. I feel bad for the little girl, especially as it seems the mother uses the little girl to gain sympathy. Using a special needs child to further your own agenda after you acted irresponsibly = horrifically sad. Add the fact that the child is her daughter on top and well I have zero respect for anyone who supports her. Also, the ‘owner’ BOUGHT the dog a ‘therapy dog certification’ online $150 after she was seized FOR THE SECOND TIME. Anyone can register their dog/cat/hamster/snake/exc as a ‘therapy dog’ for a cool $150. You even get a snazzy vest, but that doesn’t make your dog (or cat or hamster) a service dog. Service dogs are TRAINED FOR A TASK. Edith has not been, per a reliable source who has met the dog. While the source told me she is very friendly, she also said she has zero manners. Service dogs are trained for years to ‘work’ and they have impeccable manners as they have to deal with the public on a constant basis. PS – the dog was also not sterilized & people do suspect she had already been bred. I know my pet bullies are all fixed. Only people who want to make a profit off their ‘pet bullies’ choose to keep them intact. You are so mistaken and are intent on spreading more lies. Amanda does not want your attention or anyone else’s. I have not only followed this case but I have actually met and talked to Amanda. You know nothing about this except the lies you have swallowed from the “rescue”. Why have they denied Ahmeah the right to visit Edith? Why was is necessary to change her microchip? Why do they not even respond to Amanda asking about Edith’s welfare? You are mistaking the definition of an emotional support dog for a guide dog for the blind, I think. Amanda wants to take her dog and her children and leave this God forsaken state. And I don’t blame her. All she knows about the people in this state is how stupidly petty and vengeful they can be. Robert Baumberg, the city attorney, has repeatedly refused to take phone calls from Amanda, has refused to allow Amanda’s daughter to visit her dog, has failed to show up for court in order to drag this out to the max, and most recently, refused to answer questions by the media. He should be ashamed but of course he is not. You should also be ashamed but you aren’t either. Who are you to judge? You know nothing about Amanda’s situation. Jennifer Scott-Guthrie you are so full of crap! You are a friend of michele Gibson the rescue that was supposed to be fostering Edith but has since tried to change ownership on her microchip! All Amanda needs to be protected under federal law is a letter from her daughter’s Doctor stating that Edith is an emotional support animal! She had that statement before she ever moved to Jacksonville!! She also had those certificates before she ever moved to Jacksonville! She bought those online after a doctor suggested that she get them! She had no idea that Edith did not need to be registered. She was trying to do everything right, yet you people keep hating on her. You think you know everything but you know nothing!!! Amanda doesn’t have to move because Arkansas fair housing told her that! They know a lot more than you do! As do Amanda’s attorneys! You mean girls get off on hating on a single mother who was done absolutely nothing wrong! It’s the city of Jacksonville and Michelle who are the bad guys!! Michelle was supposed to foster edith until the case was heard and a decision was made. Not try to change ownership on her microchip and hide her for FOUR months & adopt her!! She was so nice to Amanda’s attorneys until the day she picked Edith up from the shelter. That’s when she stopped communicating with her lawyers. What rescue does that !? You act like Edith was abused or neglected so you can justify them taking her! None of that is true!! I don’t know how you know about Edith’s manners but that has absolutely nothing to do with her being an ESA . I know you think you’re an expert in everything! But you’re ignorant and clueless in this case so why don’t you stop posting lies! Are you going to delete your comment now that I called you out like you did on Edith’s page? Lol. Get a life! You should be ashamed of yourself! Do you get off knowing that an 11-year-old little girl is suffering and has even been diagnosed as clinically depressed and prescribed medication because her dog was unlawfully taken from her? All you want to do is point fingers at her mother!! I have news for you Jennifer this family did nothing wrong!! There are laws in place to protect people with disabilities and those laws make Edith exempt from a pit bull ban. You know all this already… I think you’re just a mean miserable lonely ugly person that wants to make other people as miserable as you are. You’re a disgrace! That is not true at all- you all really need to do your own research and not believe what the ‘owner’ is saying. ADA ONLY COVERS SERVICE DOGS. Her owner was given a huge chance to remove the dog from the city. If the dog meant so much to the little girl I am not sure why she did not. Can any of you tell me that you would not have removed your dog from the city even without having a child involved? Or would have at least asked around and found someone outside the city to take them until you could move? She is very lucky the dog is not dead as the city used to have a euthanize all pit bulls rule. I think it is funny how people name call as people tend to do that when they have nothing factual to say. The owner is to blame but has yet to take a single ounce of responsibility for what she did. It is always someone else’s fault – it is Jacksonville’s fault that her dog wasn’t fixed for EIGHT months after she got the dog back, it is her doctor’s fault that she has been mislabeling her dog as a service dog instead of an emotional support dog – which is a huge difference FYI, it is the rescue’s fault that her daughter cant visit, I would for once like to hear the owner say ‘sorry guys I messed up but I really want my daughter’s dog back’ instead of slinging blame on everyone. And nope, I am not associated with the rescue who took Edith. I am just a concerned dog owner who is tired of irresponsible owners like Edith’s ‘owner’ making the rest of us look bad and causing total havoc because they were irresponsible. I would fully support her if she would admit she messed up and wants to make it right and went about this in a respectful way, but she has yet to. She constantly berates and encourages her ‘sheeple’ (as someone put it) to attack a rescue who had nothing to do with Edith, a city shelter who work their asses off to make sure all dogs including pits get out alive, a city who might very well reconsider allowing pit bulls to go to rescue because of Amanda. The little girl is the victim in this, I agree, but the mom is 100% the only reason that Edith is not home with them right now. It is sad that people do not see that. I hope people do form a group to end BSL but this is going to do nothing to help whatsoever because her ‘owner’ has done nothing but lie and deceive and twist the truth to suit her cause. Anyone who speaks out she says is associated with the rescue who doesn’t even have Edith who had to get a restraining order against Amanda & her ‘sheeple’. I have news for you, I know a whole bunch of people who don’t know the rescue at all and who have come to the same conclusion a lot of other folks have about this situation on their own and by looking at records. People are starting to see this situation for what it is, you can see the “Save Edith” page getting more and more desperate to explain why Amanda did what she did like why she lied about her dog being a service dog, why she didn’t get her dog fixed, why she left her dog at an abandoned house where she was confiscated from the second time, exc. She probably should rethink her strategy to be one of taking responsibility for her actions and taking her share of blame in this situation. People would have a lot more respect for her if she admitted wrongdoing instead of placing blame on every single person out there. BSL is stupid and doesn’t work, but the fact is it is the law. Just like speeding in your car or not stealing things. If you break the law, there are consequences. Until people get together and actually fight for change/take on the city with a lawyer who knows what they are doing – which people don’t want to do as it is too much work – then BSL will remain in place. Even if by some crazy stretch Amanda is given Edith back, it wont effect BSL whatsoever in Jacksonville or any other town here in Arkansas. If you want BSL to end – get off your butts and do something that makes a real change – not just support someone who is getting caught twisting the truth. I also know for a fact at the court date that when Amanda’s lawyers asked if Edith was returned, the judge asked if Amanda still lived in Jacksonville – which she does – they replied ‘yes’ – and the judge stated he can not return the dog, which is common sense people. Seems to me the lawyers need to be a bit better prepared as well. JENNIFER SCOTT-GUTHRIE Stop lying! You were NEVER asked to assist on Edith’s case. I assist on Edith’s case. I don’t why you keep putting these lies out there. Clearly you have an agenda. I know that you are friends with Michelle Gibson with Reassuring Paws Rescue, who is the person that agreed with the family’s attorney to foster Edith until the case was decided. However, once she picked up Edith from the Jacksonville shelter, she ignored the attorneys attempts to contact her to schedule supervised visitation for 11 year old Ahmeah and her emotional support animal, Edith! Not only did she ignore them she also tried to change ownership on Edith’s microchip on 11/2 before the first real court hearing?! She NEVER told the Lancaster Law Firm that she would not be able to discuss the case with them. She pretended that she was going to set up visitation for Ahmeah and Edith in order to get them to allow Edith to go with her. ..then cut off all communication! You are defending her by lying about Amanda Simmons. You are a really good friend ……..
You are all a bunch of bullies! I guess you get off on causing this family pain and distress. In case you haven’t heard, Edith has regressed tremendously since Edith was unlawfully seized. Her Doctor has diagnosed her, an 11 YEAR OLD, as clinically depressed and put her on MEDICATION!! FYI, Expert clown, Edith is an Emotional Support Animal that has a Doctors statement (FROM BEFORE SHE EVEN MOVED TO JACKSONVILLE) defining her as such and as essential in Ahmeahs life. The Fair Housing Act is federal law that protects individuals with disabilities. Ahmeah has Aspergers and Edith is her ESA! 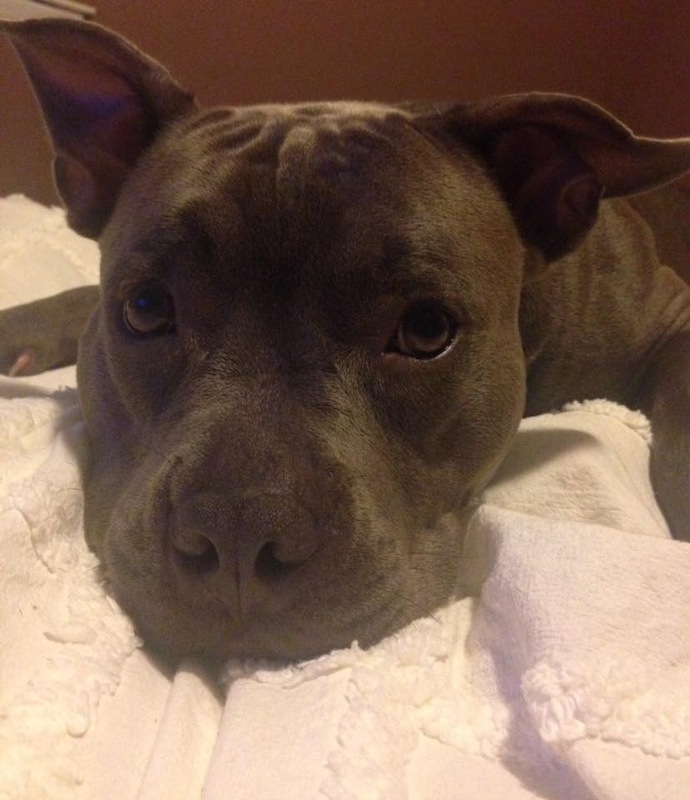 She is protected under this federal law which also trumps Jacksonvilles Pit Bull Ban genius! Arkansas Fair Housing is involved in trying to resolve this issue and get Edith home! You are so busy making up lies and pointing your finger that you can’t seem to grasp the truth!! It’s not that difficult! Oh be sure and delete your post and report me like you did on Edith’s page! Get a life mean girl! The only reason Amanda ordered online certifications is because someone at the hospital suggested it. They were purchased BEFORE she moved to Jacksonville, Ms Non Supporter. Get your facts straight! We are not going to keep defending this family to you. Go to court and hear the truth for yourself! and STOP LYING!! You think “Jennifer” removed her comments on the Edith page? You must not be aware that the admins of the save Edith page removed the Jennifer you are referring to’s comments b/c they were not in line with the image they want set for the page. They removed them and made sure to screen shot them before hand, then posted them with comments stating she herself removed them. It’s quite sad the lies that you yourselves are believing. Do a FOIA request and get the information, read it, then come back and say everything you have been told so far on that facebook page matched the info you get in the FOIA. You might be surprised…there is always the possibility that you wont….but I can almost bet that you will be. I think everyone feels sorry for the little girl that she is being put through this situation….but everyone gave this family a chance to keep their furbaby. The daughter didn’t make the decisions surrounding her dog, the mother did unfortunately. And no one said that she should poison her dog either, but she should have protected her daughters dog within the FHA regulations at all times. Wow!! I have always said that there are 3 sides to a story, both parties sides then there is the truth!! 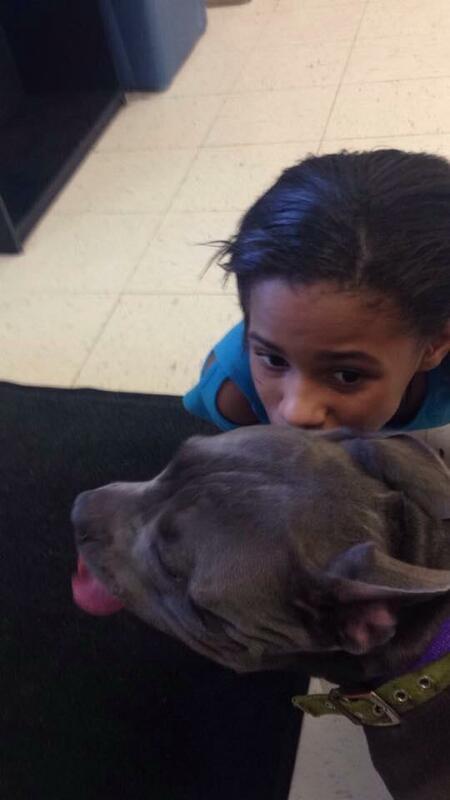 What amazes me about this entire ordeal is that the 2 whom are truly suffering is that lil girl and her dog Edith!! Yes you are correct the mother was told to move out of Jacksonville however when you are a single mother you can’t always snap your fingers and make things happen. The city wants to say the family didn’t move as they was advised to do so, well what about the fact that the city not only returned the dog to the family still living in the same home but they also left the dog in the home for 10+ months before the 2nd time she was seized!! As for the mother’s post and or what you say is her ” harassing and encouraging the public to attack the rescue” have you ever stepped back for a moment and tried being empathetic or even try understanding why she’s upset?? She has to watch as her child is suffering of course her 1st reaction is to protect her child. The mother was told that Edith would be placed in foster home and that her and her daughter would be allowed to continue visiting Edith as they had been doing at the shelter since Edith was taken. The individual whom actually pulled Edith via the rescue even sent the mother an adoption application for her to fill out for Edith however the last day the family seen Edith they was told not to return the following Monday bc Edith would not be there. No other explanation was given to the mother or her attorney when they contacted the shelter asking where Edith had been moved to. It was when Edith was removed from the shelter via the rescue that ALL contact suddenly stopped via the rescuer/foster and the family. It wasn’t until a short time later that the mother received a call from the micro chip company informing her that the (I wont include the lady’s name I will simply call her foster) had contacted them claiming to have adopted Edith and requesting to have her chip transferred into her personal name which the mother informed them NO Edith had NOT been placed for adoption nor did she give consent to transfer Ediths chip info either. Up until that phone call the family had no idea if Edith was dead or alive. The city has also been notified that the family is ready to leave the state of Arkansas for good once Edith is returned to there custody yet no one shows this innocent lil girl any sympathy what so ever!! Why not return the dog and allow the family to move instead of wasting tax payers money to continue this battle not only in court but in the trial of public opinion making Jacksonville look horrible?? Oh and I want to include that your statement in which you say that the family’s attorney owns a rescue but yet they failed to step up and pull Edith and place her into foster care for the family is completely FALSE!! The family’s attorney does own a local rescue in which has saved several dog’s and the attorney requested in court that Edith be allowed to be fostered by the family’s attorney. However the city attorney objected to that request and the judge wouldn’t allow the lawyer or anyone else associated with there local rescue to pull Edith!! I pray the lil girl ia reunited with her dog and the family can continue to leave this state and put this nightmare behind them!! She was told to remove the dog from the city when she was given back. At the time animal control per city rule had to euthanize all pit bulls and mixes unless the owners took them and removed them from the city. The people at animal control love animals which is why Edith was not euthanized when impounded for the first time. They allowed Amanda to take her back with the stipulation she must be removed from city premises. Wow. That’s my initial response. I don’t know this “Jennifer” & never asked for her help. Never spoke to her. At all. So apparently these lies that she is spreading with her friend are very disheartening. So where do I begin, yes Edith can go anywhere Ahmeah is. So why was she in a friends back yard? To be away from the poison. We were able to stay home because we can’t absorb the poison thru our paws & get sick or die. All I can do is laugh that people claim Edith had been bred. No. She hadn’t, she infact was in her first heat when she was taken. The rest of this isn’t even worth a response. I love my daughter. More than life itself. All I want is her to smile again. When she wants to tell people how she’s feeling or respond to comments online, I allow it. Trying to gain sympathy is so far fetched. In fact it just shows how full of hate you women are. Rather that stating facts you spread lies. I can laugh because I know the truth. And I suggest taking your lies elsewhere. Or just come to court & hear the truth for yourselves. I’m far from perfect. I don’t know everything and I’ve admitted to my mistakes. I don’t harass you all or “send the mass public to attack” like you lied about as well all these other lies. But that’s fine. Say what you want. Neither of you JENNIFER or RESCUE GIRL, are of any importance to this case or our lives. You aren’t the judge. Its really amazing why you think anything you say matters. You’re just trying to inflict more pain in our lives. Sad. But we won’t let it get to us. Because we know the truth. Have a blessed day. Let me get this straight – The “Edith” case and the Facebook page supporting the family has presented court documents in support of their case. They have laid out a history (including details where they did fall short). Along comes an external article on their case, and immediately someone comes in to discredit their story. Claims that they started to help, but then supposedly found “other evidence” (though not a drop of it presented or linked to). Accusations directly contradicting much of what the family in question has stated. Now – who do we believe? There is now claims that the first reply to contradict the Edith story is connected to the “rescue” that has Edith. This fits in to other claims that there has been a restraining order placed because of “threats” made to the rescue (even though I have been unsuccessful in finding any links or listings of the rescue group or any individuals being posted or given out and please to harass…). I have seen zero evidence presented that Edith’s rightful family has made threats or harassed anyone (not saying it didn’t happen, just no credible evidence of it). Do I believe there is more to this story? Certainly. But I do not believe the story being presented by replies here – there just isn’t any evidence – just accusations just as wild as those being made on the other side (but the replies here have no evidence connected). Michael, there is a restraining order against Amanda regarding her posting any negative comments about Michelle Gibson on Edith’s FaceBook page or encouraging others to do so. Her supporters, myself included, don’t need her encouragement. I was in court for her the day it happened. Michelle and her friends left the court smiling with satisfaction. But guess what? That restraining order did not apply to me. Or the many others who fully support Amanda and her daughter. First of all, Amanda has never harassed Michelle. Others, myself included, certainly hold her in contempt. As far as I have been able to tell, no “threats” have ever been made against Michelle, her friends or her “rescue”. This is still the United States of America and I still have the right to express my opinion. And my opinion is that Michelle is the person who is glorifying in all the attention. Amanda wants no part of it. Amanda has simply been forced to resort to a petition and to the court to try to get Edith returned to her daughter. These BSL laws are a politician’s knee jerk reaction to media fueled hysteria and do absolutely nothing to protect the public from dog bites. Terri Do you know for a fact “Michelle” was there on the day the no contact order was issued or is that what the page has led you to believe? Also not only do “no contact orders” apply to direct contact between the 2 parties, it also prohibits INDIRECT contact that includes messages through a third person at the direction of the respondent. So yes…enticing others to say things is violating the no contact order. Jennifer Scott Guthrie she didn’t say she knew about the ban before she moved there. After Edith was taken the first time the landlord allowed her to keep Edith because she had a statement from Ahmeah’s physician! Stop lying! The city had NO right take her in the first place! She doesn’t have to move genius! You all do realize that most rescue groups charge a fee for people to adopt those rescue animals. I suspect someone with the “rescue” group decided they wanted Edith and/or a friend did, money exchanged hands, and no-on wants to fess up..
What you are suggesting is actually against the law when an animal is seized and is part of a court case. Why would ANY rescue risk the respect of the community and or non profit status by breaking the law? Edith has not been adopted by anyone. She was pulled out of the shelter to keep her safe and in a better environment during the court proceedings. Its preposterous to think that the biggest part of this court case and biggest piece of evidence would be illegally mishandled. We have an owner trained service animal. They most certainly are recognised by the ADA and allowed to be utilised exactly as professionally trained animals are. There is no requirement by the Federal Government that service animals be trained and certified by an outside professional agency. As a matter of absolute fact; no one – not even law enforcement, court personnel, rescue organisations, Humane Society chapters, medical professionals, business owners, city government members, etc – has the legal right to even ASK what “type” of service animal an afflicted owner has. That is private medical information between the owner and their physician ONLY. Edith and her owner are protected by FEDERAL LAWS, which trump city ordinances. Where she was when stolen by the city, is irrelevant. She has every LEGAL right to be anywhere her owner wants her to be. This dog is considered necessary medical equipment for a disabled young girl, which is confirmed by the child’s doctor. That is all anyone needs to know. This dog is stolen property. Anyone who harbors her, keeps her from her owner, or even simply knows of her whereabouts, without immediately taking action to return her, is guilty of a Federal offense. Edith needs to be returned immediately and her owners need to stop being harassed by city officials, alleged rescue organisations and other residents. To support your statements of harassment by city officials and rescue organisations can you please show written correspondence from both of those showing the harassment? If I were to guess correctly your response to my request above ^ is going to be that you don’t have to show any of us anything to prove your allegations of harassment. We are just supposed to take your word for it that the harassment from the city and rescue is there. I have provided you with proof from both the FHA and the ADA that back my statements. Oh and HIPAA…since that was a recent topic. Lisa M, Amanda Simmons has already acknowledged on her Save Edith page that she was misusing the terms. Edith is an Emotional Support Animal, *not* a trained Service Dog who requires specific, specialized training. Businesses are permitted to ask what task Edith is trained to perform. If the task falls within the purview of calming or emotional support, then they are within their rights to deny access. Mixing up the terminology and creating confusion about what Edith’s role is may have been an honest mistake, but regardless, this kind of confusion creates problems and makes things harder for people like you and anyone else who needs a thoroughly trained and vetted serviced dog in order to function independently. Again, it may not be her intent to cause problems, but she’s seeking media attention and publicity. She’s now been informed of these issues. If she continues calling Edith a “service dog”, implying a specially trained dog who’s spent as least a solid year being trained, *without* taking the time to learn these things then she’s making herself part of the problem. She can’t claim ignorance anymore. I hope she’s learning from the feedback and making the appropriate changes to her narrative and her demands. people were banned from the page for posting gossip & lies. Edith was NEVER running at large. Jacksonville AR are the ones that made TWO mistakes! They took Edith twice! Kat where are you getting your information from? Are you 100% positive that some of the ones that were silenced on the facebook page were banned b/c they were telling lies and posting gossip? B/c I beg to differ with you. If your so informed and know all of the facts then why when she went to court the first time, for the first offense, did the owner not appeal the courts decision? Why wasn’t all of this as important then? Why at that point was BSL not as important as it is now? Something isn’t adding up here. Ask whoever you get your information from when Edith was spayed….After 1st offense or after the 2nd offense. And I bet along with that answer they tell you the owner authorized her to be spayed as well. You also stated that the owner is a mother of 3 children and was told she didn’t have to move by people who know…unlike me…you are referring to Fair Housing here. If the owner was in contact with Fair Housing to be told that she didn’t have to move, then why didn’t she verify with Fair Housing what needed to be done about removing Edith from the one and only location Edith was protected in (owners personal residence) so that her house could be sprayed? Why would she be in contact with them about one thing, but not the other? Both seem pretty important, b/c the main goal here was to protect Edith and keep her with Ahmeah. I don’t know what lies and gossip you feel are being told here. Whether you choose to open your eyes and mind to the fact that you just might not be being told the full story is up to you, but it does not constitute you saying that what we are saying are lies and gossip. And I never said I was ok with BSL…in fact I absolutely hate it. Causes more problems than it solves. You question our validity but have you questioned the validity of the ones you are supporting? Why are we and our information automatically wrong, yet you and your information are automatically right? I don’t know who you are, or where you are getting your information, but you are beyond ignorant and incredibly rude. Edith is a service animal who is considered by Federal law, to be medically necessary equipment for a disabled girl. As such, she is allowed to go anywhere in public that her owner wishes her to go. There are very few exceptions, such as operating rooms. That dog is NOT restricted to her domicile under ANY circumstances. She was on private property, with the owner’s permission, the second time the city unlawfully stole her from her owner, in violation of Federal law. You clearly know very little about the relevant laws regarding service animals, so do everyone a huge favor and get lost. I’m sorry you feel that I’m ignorant Lisa. I’m getting my information from the Fair Housing/HUD documents. One would think that those would be pretty legitimate sources. For instance it states: “While HUD does not specifically state anything about local breed bans, it does provide in its notice to housing providers that breed limitations cannot be applied to assistance animals. Note that assistance animals are only allowed in housing and a banned breed may not be taken to places of public accommodation like service animals. And: Unlike a service animal, an emotional support animal is not granted access to places of public accommodation. Under the federal Fair Housing Act (FHA), an emotional support animal is viewed as a “reasonable accommodation” in a housing unit that has a “no pets” rule for its residents.” So it’s my understanding that Edith, being and Emotional Support Animal, would not be able to go to public places under Fair Housing Regulations. Are you saying that the Fair Housing documents are not a reputable source of information, or am I just ignorant because I don’t agree with you? Fair Housing only applies to the personal residence of the person or persons in need. FHA defines itself as the following, “The Fair Housing Act protects people from discrimination when they are renting, buying, or securing financing for any housing.” Please help me understand where they cover public places? I must be missing it in their official information. Having a difference in opinion doesn’t make me rude, being narrow minded and closed off to factual information and then stooping to the level of name calling would be considered rude. Thank you for proving my point. If owners are not required by Federal ADA laws, to disclose the nature of their affliction to anyone, or the type of service animal they have to anyone, which would obviously disclose the nature of their disability, then how exactly would emotional support animals as you call them, be excluded from the same protections as seeing eye dogs or seizure warning dogs? Hear me: NO ONE has the right to force a disabled person to disclose the nature of their medical condition. That is Federally protected medical information, between a patient and doctor. That information falls under the protections set forth under the Federal HIPPA laws. Your continued discussion of this child’s medical condition is a violation of her HIPPA rights. You are in continued violation of Federal law. All mention of emotional support animal, and the specific nature of the child’s conditions should be removed from any discussions by anyone – including city government members. That information is irrelevant and should have never entered into the dialogue. Disability Rights Section, revision on September 15, 2010 : ” Dogs whose function is to provide comfort or emotional support do not qualify as service animals under the ADA.” You must not have read my response correctly, I was speaking on the FHA rules and regulations and no where did I mention ADA rules and regulation. I didn’t mention ADA because according to their definition Edith would not qualify under the ADA, only the FHA. The ADA and the FHA are 2 completely different entities. I have not started to nor have I continued to discuss anything about the child’s medical condition. Your insinuation of that is completely irrelevant to anything I have said. To help clarify your obvious misunderstanding of HIPAA laws here is some information for you straight from US Department of Health and Human Services website explaining who is required to comply with HIPAA requirements: “Who is Required to Comply with HIPAA Requirements? All those who meet the definition of a ‘covered entity’ under HIPAA must comply with HIPAA requirements to protect the privacy and security of health information. They must also provide individuals with certain rights with respect to accessing their health information. I am not a healthcare provider, a health plan, nor a healthcare clearinghouse. Despite your attempt to discredit anything I have stated, I am confident when I say that I am not the one who has disclosed any health information concerning the innocent child. If I’m not mistaken the mother has publicly made detailed statements to the media and on social media that explain her child’s health conditions. I have not done so. Would be true if Edith were actually a service dog but she is not. You can even look at the Save Edith page, Amanda posted something on the top of the page admitting that Edith is not a service animal. She is an Emotional Support Dog – the difference is anyone can say their dog is an ESA. True service dogs are trained to do tasks (getting stuff out of the refrigerator, helping their owners walk, exc). That is why ESAs are not covered under the ADA laws because they can not regulate if a dog is truly an ESD or if the owner is lying to keep their dog. The ADA does NOT regulate the training of ANY service animal – whether it is done by professional trainers OR the owners. The doctor has verified that the dog helps the child’s condition, and even though that is not required under the ADA, it is more than enough proof that the service animal is “trained” for her function. She has clearly been trained by someone, if she can walk off leash without running away. She stays with the disabled child that she is providing medical support for, at all times. And as I mentioned to your friend above; your continued discussion of the specific nature of the disabled child’s medical condition and the nature of her service animal, is in violation of her Federally protected HIPPA rights. You are in continued violation of Federal Law. It is very telling that the two most vocal opponents here, won’t even use their names when posting, which lends infinite credence to the assertion that their arguments are tainted and flawed. As I stated earlier; we have an owner trained service animal in our home. The city does NOT charge us to license and register her, which is part of the ADA regulations. Not one person has ever asked the nature of the disability, or type of service animal she is. Not one person has ever demanded proof that she is a trained service animal – whether done by professionals or ourselves. Not one person has ever told us that we must have her altered. Not one person has ever told us that she needs to be certified or registered with an outside professional training agency. She has a Service Dog vest for when she goes in public, so other people know that she has a right to be anywhere we take her. THAT is how EVERY city is required to address service animals, under Federal ADA laws. Tainted and Flawed. That’s quite the allegation when my statements are supported by written rules and regulations (FHA and ADA). Dear Ms. Not A Sheeple and Ms. Not supporting – again; we have a service animal living in our home. I know how this works first hand. We walked into the Health Department to license and register her and told them that she was a service animal. That was all the requirement necessary under ADA. There were no questions about the nature of her service – emotional support dog – seeing eye dog – seizure warning dog – or other. We were not required to prove that she was trained. We were not asked who did the training. We were not forced to alter her. That is how it works, whether you choose to acknowledge it or not. Our city knows the law, which is why they did not ask the nature of the disability. It may be true that the mother here was ill advised to disclose the nature of her child’s disability and the type of service dog that she had. She should have simply said service dog. If she was forced to disclose that information, then that was wrong. No one is required to disclose that their service animal is an emotional support animal, whether you choose to acknowledge it or not. Since the owner of this service animal is a minor, her mother is the required party to provide necessary medical care and upkeep for the animal. She did nothing wrong by placing the dog in an alternate location, with the permission of the owner, to protect her from harm. That was her obligation to do so. If she had let the dog remain in the home and she died, I have no doubt that you two would be all over her, calling her an animal abuser and demanding that she be punished for neglect. She did the right thing for her daughter and her daughter’s service animal, whether you choose to acknowledge it or not. You stated “It may be true that the mother here was ill advised to disclose the nature of her child’s disability and the type of service dog that she had.” There are news interviews that have been published on social media by the owner of Edith and obviously aired on TV where the mother offered the information herself. Also include the numerous written statements on social media disclosing her daughters condition(s). No one has forced any of that information out of her. She has willingly provided it to the public. And yes by placing Edith outside of her personal residence she was not adhering to Fair Housing regulations. By their own definitions the ADA does not apply to this specific situation. I too set out to support this family when Amanda Simmons’s petition landed in my inbox. Having researched this situation a bit more closely, I can’t support this, and anyone who cares about the welfare of service dogs and their handlers should not support it either. As others have pointed out, this is not a clear-cut case of a service animal having been wrongly removed from a family. From what I’ve read, the shelter does have a case for negligence, and the owner’s account appears to be disingenuous on many levels. This specific situation has more to do with entitlement and hubris than it does with Breed Specific Legislation (which I am strongly against). Ultimately, when the dust settles it’s the trained Service Dogs and their disabled partners who will suffer the most. I have a hard time lending credibility to those whom cannot or will not post under their given names… I suppose I am to believe some babble and half hearted posts from someone hiding behind a screen name of “Not a Supporter” and/or “Not a Shepple” and most recently “This owner is not doing anyone any favors”.. For all e know they are one and the same and very possibly the Pseudo Rescuer Michelle! Come out of the closet already and stop hiding behind your computer screen names..
Real names don’t change the information of the case. And knowing real names won’t provide any helpful information. It’s not like you are going to know who I am lol. For the record I am not Michelle. Sandi C, internet safety protocol for 2 decades now has been to use an alias for privacy’s sake. I’m in the middle of a hacking nightmare, having two 2 primary email accounts hacked by “activists” who think that because their goal is noble, they have license to commit egregious violations. I wish I’d used MORE aliases, all things considered. If it makes you or anyone else feel better, call me Avery S.